Combine cornstarch, 2 tbsp soy sauce, vinegar, peanut butter and 1 cup water; set aside. Combine remaining soy sauce and chicken. Heat 1 tbsp oil in wok or large frying pan over high heat. Add carrots, onion, garlic and pepper; stir fry 1 minute. 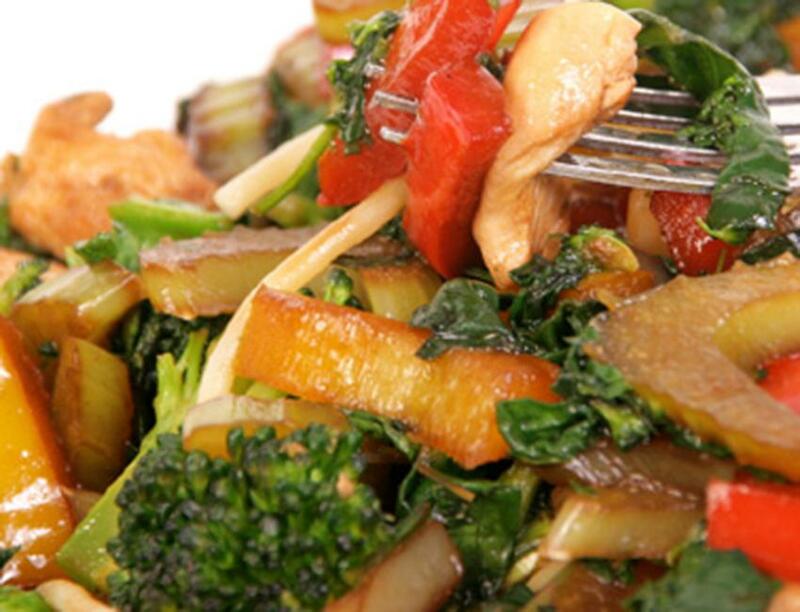 Add zucchini; stir-fry 1 minute, or until vegetables are tender-crisp. Heat remaining oil in same wok. Add chicken; stir-fry 1 minute. Mix in vegetables and vinegar-cornstarch mixture. Cook and stir until mixture thickens and boils.